Holiday-ish decorations like a candle in a carved pumpkin or a wreath on the door get the point across in a traditional way. But now that technology can do so much, who wants traditional decorations? We found 10 ways to turbo-charge your holiday look with technology like we're all living in the 21st century. Begone, sheet on a mannequin ghost! Hello singing holograms! 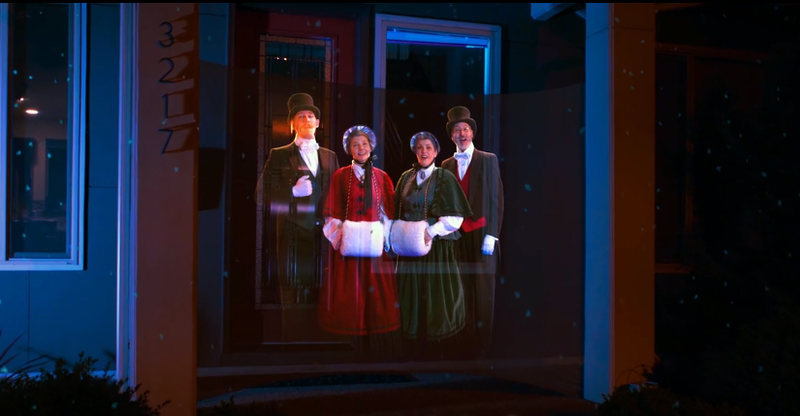 Carolers at your beck and call to entertain the neighborhood are expensive, unless they're holographic.